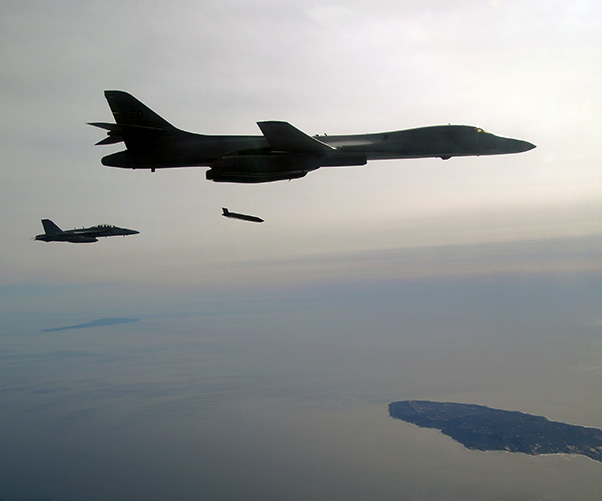 U.S. Air Force B-1B Lancer releases the Navy’s Long Range Anti-Ship Missile during a test event Dec. 8, 2017, off the coast of California. The U.S. Navy is closer to delivering its new Long Range Anti-Ship Missile after completing another milestone test flight from an Air Force B-1B Lancer Dec. 8 over Point Mugu Sea Test Range in California. 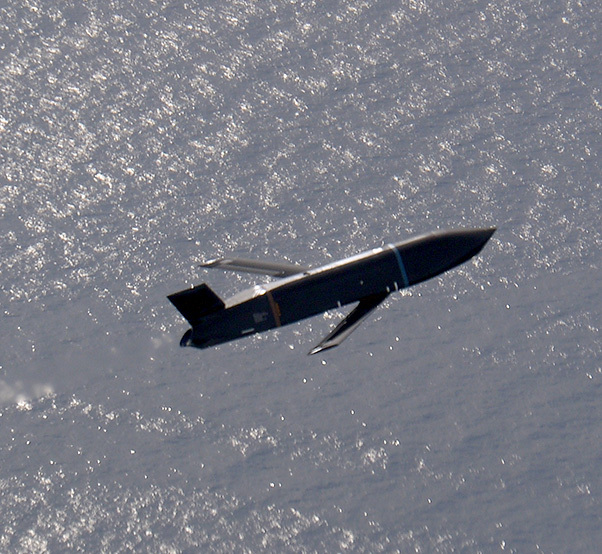 A U.S. Navy Long Range Anti-Ship Missile in flight during a test event Dec. 8, 2017, off the Coast of California.